Gianna removed a fresh batch of vanilla cupcakes from the oven and placed them next to the others to cool in preparation for the next step – frosting. In the meantime, she slid in another batch. Lemon this time, her tenth batch of the morning. “Shrew,” she said as the oven’s heat slapped her in the face. She closed the oven door and fanned flour dust away from her immediate space. It was a useless gesture. The kitchen in her bakery looked like flour-mageddon. A disaster. The equivalent of a man who couldn’t cook tearing up his wife’s kitchen. She grinned to herself thinking of how brutal men were in the kitchen – in anyone’s kitchen – but today, she was no better than a non-cooking male. Her black apron was covered with the dusty, white stuff as well as her black, no-slip, off-brand shoes. And why on earth did she buy black aprons over white ones? She couldn’t recall a specific reason. Maybe they were on sale or something. Most likely, that was the reason. With her budget, all she could afford was sale items. Whatever the case, black aprons in a bakery just didn’t make much sense. Maybe in some upscale, fancy restaurant, but definitely not a bakery. At least not her bakery. Gianna coughed. Fanning, again. The Boardwalk Bakery – with its pastel pink walls and ten black, tables with four chairs to each – didn’t see much action in the mornings. It wasn’t until noon that the place started jumping with customers looking to fulfill their cravings for early afternoon sugar – something to help them make it through the rest of the day on their stuffy, corporate jobs. Gianna was accustomed to the routine. It gave her time in the mornings to prepare for the midday rush, especially since the early risers who wandered through her doors only wanted coffee. Did people not eat cupcakes in the morning? Probably not since they were considered a dessert and not morning breakfast pastries. With that being the case why was she consistently opening at 9:00 a.m.? Just to sell ten cups of coffee? It was hardly worth the effort. When her cell phone rang, she ran to the back office – the only office in the bakery – to retrieve it, recognizing her sister Gemma’s upbeat ringtone. Gemma was the only contact in her phone with an assigned ringtone. That was one way to ensure that she’d never miss a call from Gemma. “Hey, Gem. I’ve been waiting for your call. How’d it go?” Gianna asked, heaving. Coughing. “Gianna, why do you sound like you’re out of breath?” Gemma asked. “Because I am out of breath. When I heard the phone, I ran to the office to get it. Plus, there’s so much flour floating around in the air, I feel like I’m trapped in a snow globe. It’s all up in my lungs,” she said, fanning. “And I want you to bug me,” Gianna said with the cell phone pinched between her left ear and shoulder while she carried a tray of her best-selling butter pecan cupcakes to the front. She would put them in the display case when she got off the phone. “Can’t I?” Gianna asked again, this time dropping the whittle, but still amused by it. The sound of a man clearing his throat made Gianna spin around quickly to see who it was that had apparently snuck up in her shop. Snuck up on her. Her heart drummed in her chest when her eyes beheld the tall, six-foot-something of a man clad in a black suit standing there. She turned around again, back facing him and returned her attention to her phone. “Hello?” she said to make sure Gemma was still on the line. Gianna glanced back at the man again, feeling her breaths quicken. Men always made her uneasy especially since she didn’t have much experience with them. Honestly, she didn’t have any experience with them. And this one in particular – sweet mercy. He looked milk chocolate, like the icing she was going to put on her Devil’s food cupcakes. The man frowned slightly and smirked. Did she really think she was whispering? The man looked up at the ceiling, cracked a half smile and shook his head. This was actually happening. What kind of bakery had he walked into? “That’s because you are short, shorty,” Gemma quipped. “Excuse me?” he asked, amused. Gianna felt a wave of heat rush through her body. The pure gorgeousness of this man had instantly given her hot flashes – those big ol’ broad shoulders on a lean body, lips that looked like they’d latch right on to anything and eyes darker than his suit. He was clean shaven. Mustache trimmed. Haircut fresh and neat. 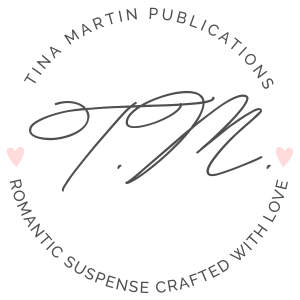 The base notes of his cologne snatched the smell of cupcakes right out of her nose. He gazed at her for a moment about to explode with more laughter. “Why are you smiling?” she asked deciding to find out, going against her better judgment. His smile turned into a light chuckle. “Yes, I am and, by the way, you have something white on the tip of your nose. I’m assuming it’s flour. Well, I hope it’s flour. Here, allow me.” He reached out and wiped the substance from her nose using the back of his index finger. At his touch, her entire body shook – not trembled – but actually jerked and wiggled like those twenty-feet tall, inflatable air dancers in front of a car dealership. Her legs went so weak, she had to catch herself from falling by placing her hands flat on the counter. The man must’ve thought she was nuts but in her defense, she’d never been touched by a man before, innocent or otherwise. And she’d never been in the presence of this kind of man – the kind of man you can look at and instantly tell he was somebody important. The kind of man that rocked five-thousand dollar, tailored suits. The kind of man who had the boldness to wipe something off of a woman’s nose without waiting for permission to do so because he knew he could get away with it. He could get away with anything with his fine behind. He frowned and quirked his mouth into a lopsided grin. Why are you so ferociously male, taking over my little bakery with your testosterone and distinctive spellbinding scent? Hunh? Answer that, buster! “Okay. Fine. One butter pecan coming right up,” she said unenthused. She slid a clear, plastic serving glove on her right hand, then took one of the freshly baked butter pecan cupcakes from the tray on the counter. She never did get around to putting them in the display case. Glancing at him as he looked around the bakery, she asked, “Is this for here or to go?” Please say to go. Please say to go. Gianna’s mouth fell open in shock. “Newsflash, cupcake lady…you can’t whisper worth a lick,” the man informed her. He watched as her already reddened cheeks turned a shade darker with embarrassment. “You mean your whittle sister?” He laughed. “Thank you for the cupcake and coffee. Finally.” He smiled again, then took the cupcake and cup from the counter, heading for the coffee station. After preparing his coffee until the color of it matched the woman’s skin tone – smooth and buttery brown – he sat where he would have a good view of her. He’d never met a more fidgety, uneasy woman. Granted, most women found themselves unnerved around him. That’s just the kind of hair-raising effect he had on women. And he could easily distinguish between the ones he could readily have and the women who would prove to be more of a challenge. This woman, however, had him off his game. 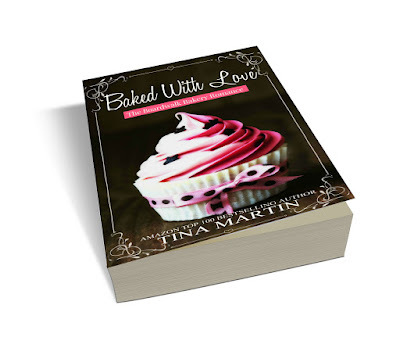 He couldn’t quite read her just yet, but he knew one thing for sure – she made some delicious, mouthwatering cupcakes. And everything about her appearance was beautiful in an innocent kind of way. He couldn’t see her hair because of the hairnet she was wearing, but he could tell it was black and balled up into a bun. Her skin complexion was a few shades lighter than his. She looked to be about five and a half feet tall. She didn’t have a curvy body from what he could see. She looked thin – straight up and down. And she had to be a smart woman. A little flaky, but smart. It took guts to run a small business, especially a niche market like specialty cupcakes where the profit margin was low and operating costs were high. He wondered how long she’d been in business, and if she ran the bakery alone. He took a sip of coffee then removed his cell phone from his suit jacket. After pulling up a web browser, he Googled her bakery name – The Boardwalk Bakery – just to satisfy his curiosity on whether or not the bakery had an online presence. It hadn’t. And his search results yielded no reviews. No social media sites. Just a few listings showing the business name, number and address. He glanced up when he felt her eyes on him and as soon as he met her light brown gaze, she looked away, continuing to wipe the counter in counterclockwise circles. He took a sip of coffee, analyzing her – his eyes traveling down to her legs then back up to her oval shaped face. If he was correct in reading her, she looked like she wanted to ask him something but was hesitant to do so. That didn’t surprise him. Her hesitancy that is. He’d been told a time or two (truthfully speaking, more like a hundred times) that his presence was intimidating. Besides, the cupcake lady didn’t come off as a conversationalist and that had him guessing her age. Mid-twenties? Late twenties? There was no way she was a day over thirty. His thoughts were interrupted by a tinkling bell at the entrance. He grinned to himself. So, there is a doorbell. Why didn’t it tinkle when I came in? He shifted his body to take a look at the door. There wasn’t an electric chime doorbell, but an actual bell hanging from the interior side of the door. Apparently, it was faulty because it certainly didn’t tinkle twenty minutes ago. Putting the doorbell concern on hold for the moment, he sat up tall watching a man who appeared to be homeless walk in – not that he was being judgy, but what else was he supposed to think by the appearance of the man? He looked like he hadn’t shaved in months and wore a dirty white T-shirt and worn, black shoes. He’d never seen a once-white T-shirt so filthy. And the khaki cargo pants the man wore had seen many bad days. He watched the woman emerge from the kitchen and witnessed the moment her eyes lit up when she saw the homeless man. “Sounds good to me,” he said, rubbing his stomach. “Bless you, sweet thang.” He took the box and headed for the door. “Yes, ma’am,” Jerry said immediately before he exited. Still smiling, Gianna glanced over at the suited-up man who’d unnerved her and interrupted her morning, feeling the smile instantly fall away from her face. Why was he staring so hard? And he continued staring with his large hand wrapped around the tall coffee cup, sipping and reflecting on her interaction with the homeless man. He was on alert when the man came in, but it was obvious she knew who this guy was. And she’d given him a box of cupcakes for free. It only piqued his curiosity about cupcake lady. Exactly who was this woman? The Boardwalk Bakery Series is a three-part continuation series. You must read these books in order.